Food tastes better when you Bike to the Market! As part of the Back to the Market Movement, Capital Area Farmers Markets are participating in a Bike to the Market program. Ride your bike to any one of the participating 20+ markets on the 4th Week of each month during the months of May-October, and show your love to our local farmers! Receive a free market tote bag for all your market goodies, while supplies last. Stop in at the GrowRVA tent next to the musician tent at the center of the market. Please walk your bike through the market, do not ride it. Thank you! 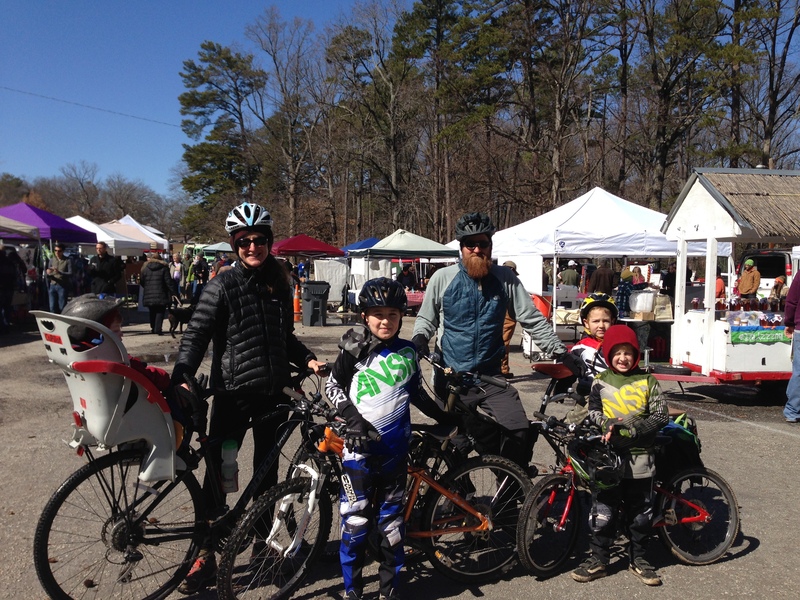 This is the Amey family: Letitia & Glenn with Logan (9), Miles (6), Mason (5), & Taylor (2) at The South of the James Market. Two and a Half Irish-Men: Relatively new to the market is Two and a Half Irish-Men bringing traditional Irish Baking recipes that are still used everyday throughout Ireland. Stop by their tent this Saturday. They bake with the best local ingredients to bring a little taste of Eireann to Richmond! Old Church Creamery: They’re back! 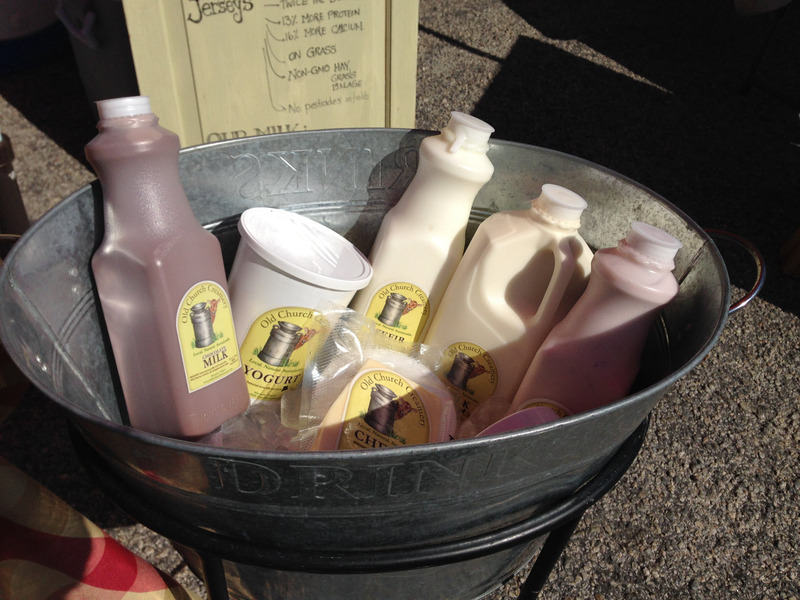 Old Church Creamery returns with their popular All Jersey milk products. Be sure to try their delicious creamline milk, chocolate milk, yogurts, cheeses and kefir. So good! 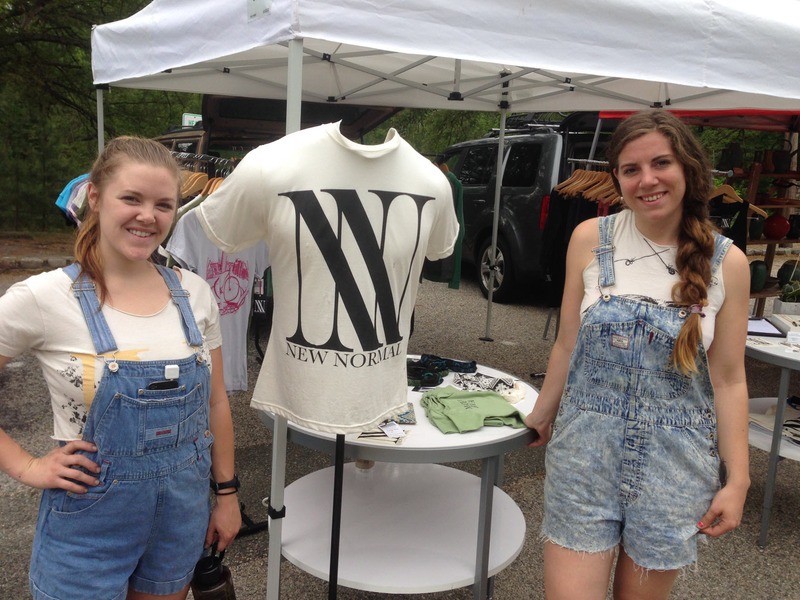 New Normal Apparel Company: Look for New Normal Apparel this Saturday at SOJ. This innovative apparel company produces high quality fashion that is designed and manufactured locally. They strongly believe in the importance of collaborating with local artisans of all trades. And we love that! 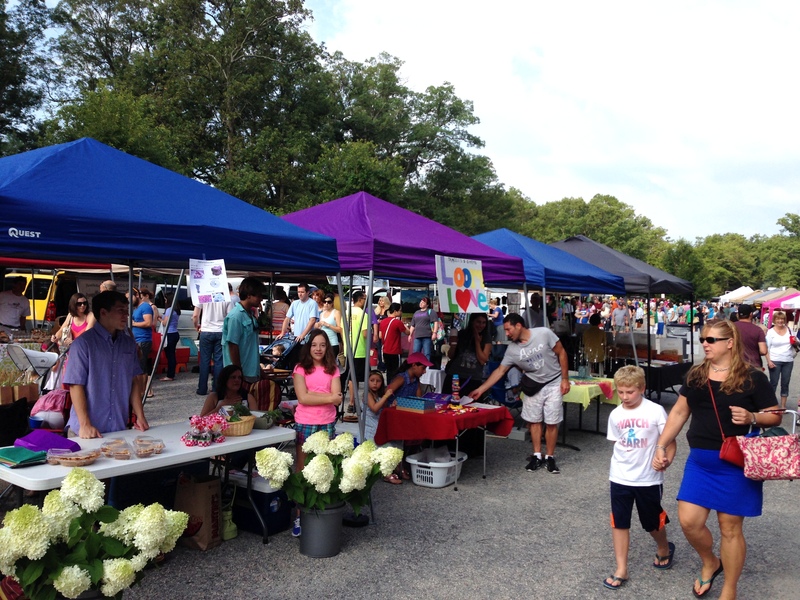 GrowRVA is hosting a Kids Market next Saturday, May 30th, and the last Saturday of the next 5 months at the South of the James Market. There is still time to apply if your child makes or grows something they would like to sell at the market. More details here. 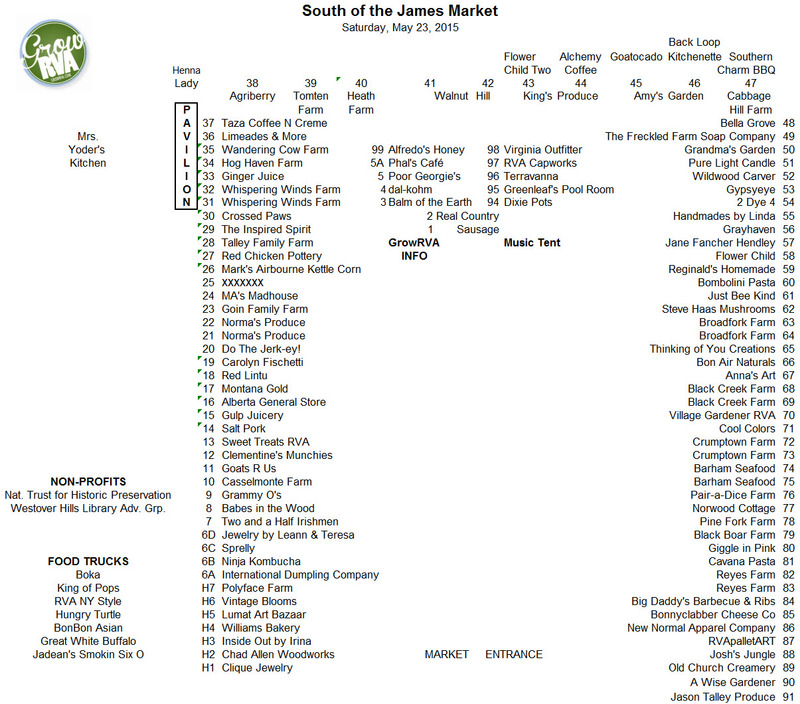 We have a fabulous line up of vendors this week at SOJ (map below). Please join us!